In 2006, Sybase, an SAP company, began building their GRC program from a SOX foundation. 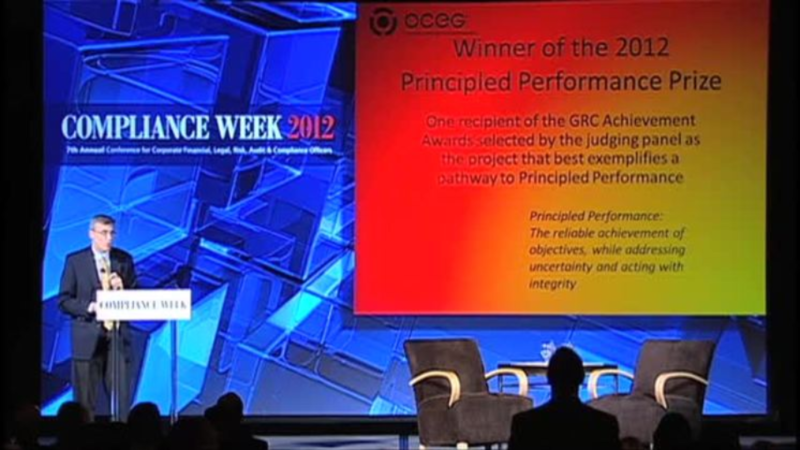 In June, Sybase was awarded the 2012 OCEG Principled Performance Prize as the best of the GRC programs nominated for the 2012 OCEG GRC Achievement Awards. Implementing GRC at this level means managing a combination of people, processes and technology through a lengthy journey. We have emailed instructions to access Building a Winning GRC Program to . Make sure the email arrives in your inbox: either add "support@oceg.org" as a safe sender to your email platform, or if you use Gmail, drag our email into your Primary tab.